Are Cars Doomed? Not So Fast! Consumer sentiment for high-profile vehicles continues. This large Hyundai Azera sedan won’t see the 2018 model year. A quick scan of the automotive landscape, especially in the United States, reveals that consumers are snapping up SUVs and pickup trucks to the detriment of coupes, sedans, and wagons. Some brands, such as Buick, are selling as many as three SUVs to one car, underscoring the wholesale shift away from traditional transportation choices. Some analysts see a permanent shift away from cars to high-profile vehicles and are essentially calling the segment dead. Indeed, just this past week we’ve heard rumors that GM may cancel two large sedans — the Chevrolet Impala and Cadillac XTS, with even a few smaller models such as the Chevrolet Sonic possibly on the chopping block. Also, it is unlikely we’ll see a new Ford Taurus and similar rumors that next-generation Fiesta won’t arrive stateside continues. Further, Fiat Chrysler has already canceled the midsize Chrysler 200 and compact Dodge Dart sedans, while Hyundai has similar plans for the large Azera sedan. 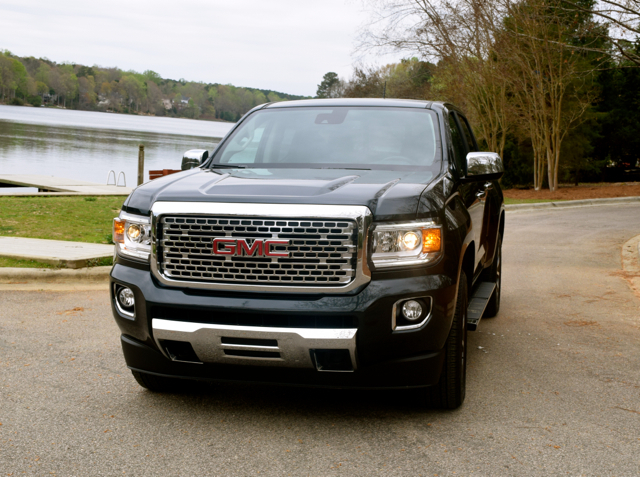 GMC Canyon are fueling demand. 1. Several car models will go away. It seems likely most of the previously mentioned models will, indeed, go away. Some have questioned the Taurus’ demise, given that it is used by police departments across the country. On closer inspection, other Ford models such as the Explorer are in greater demand, taking sales from the Taurus. Moreover, this past April, Ford announced it was bringing the Ford Police Responder Hybrid Sedan to the market, based on the Fusion Hybrid. It’ll be used mostly in urban settings, but it should fill the void once Taurus production ends. 2. A shrinking pie, with fewer players. Not every automaker is abandoning shrinking segments, at least not yet. The large sedan segment has seen the most significant pullback of any, with sales falling by more than one half over the past five years. Toyota is planning to bring the next generation of its large Avalon to the market next year, even as Hyundai, Chevrolet, and Ford abandon the market. This makes sense because the 2019 Avalon is based on the same platform underpinning the Toyota Camry and also shares its wheelbase with the Lexus ES Series. Avalon sales may be falling, but Toyota is poised to fill the void left with its own model. Livery owners everywhere rejoice! 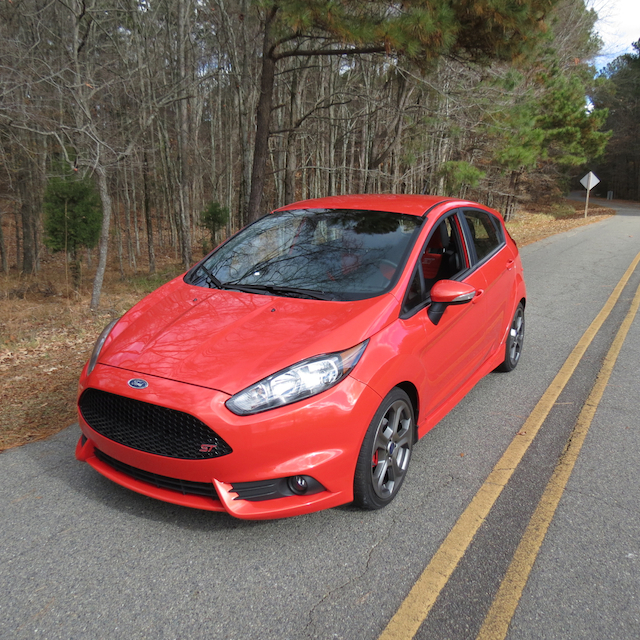 Rumors of the Ford Fiesta’s demise may be exaggerated. 3. Shrinking, but not dying. Not all car segments are going away. 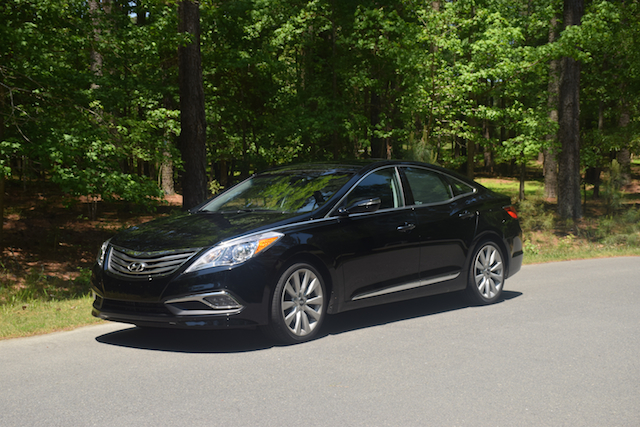 One reason large sedan sales are falling is because midsize sedans are taking up the slack. Today’s midsize models are nearly as large as the big sedans sold 15 years ago. They’re also better made, well equipped, and affordable. Doubtlessly, the D-segment pie will continue to shrink, but there is an opportunity for those who are patient. Indeed, both the Toyota Camry and Honda Accord are all new for 2018, while a refreshed Hyundai Sonata rolls out. Sales of such remaining models as the Ford Fusion, Nissan Altima, Chevrolet Malibu, and Kia Optima remain strong. It is doubtful the Subaru Legacy will go away, although models such as the Mazda 6 and Volkswagen Passat may not receive an update anytime soon. are siphoning sales from cars. 4. Gas prices are a driving factor. Low fuel prices have people running away from fuel-efficient models. That said, today’s utility vehicles are more efficient than ever. Still, if gas prices begin to rise, consumers may suddenly shift demand to vehicles currently in low demand. 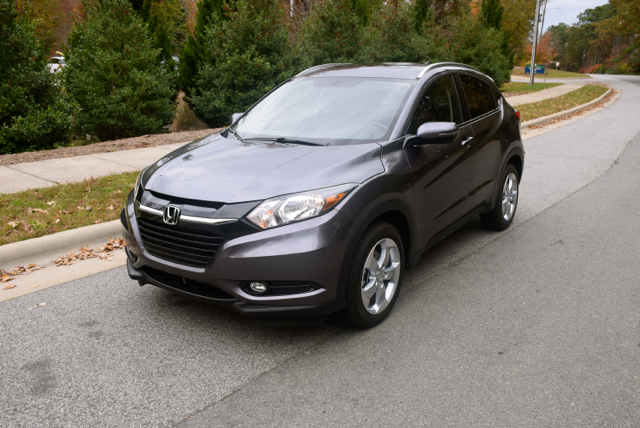 No utility vehicle delivers anywhere near the 40 mpg of a Ford Fiesta or even a Toyota Camry. Prius sales may be down, but when gas prices top $4 per gallon in some places, demand could suddenly rise. Fuel demand worldwide has eased over the past few years, but war or some sort of environmental calamity (e.g. earthquake, oil spill, meteor impact) could quickly shift demand. Those automakers with the right mix of models in place will be the winners here. 5. Consumer tastes change and without reason. Who can figure out the mind of the consumer? Focus groups, surveys, and polls may capture consumer sentiment at the moment, but they aren’t always accurate and can never gauge whims. Cars carry a certain mystique SUVs cannot match and remain the favorite of enthusiasts and collectors alike. Not so with SUVs. The fate of such models as this Chrysler 300 is unknown. Cars are not doomed, but some models are on life support. Certainly, SUVs are more profitable, so manufacturers go where the money easily flows. Manufacturers who hedge their bets are able to quickly pivot, especially when consumer sentiment changes — sometimes on a whim. 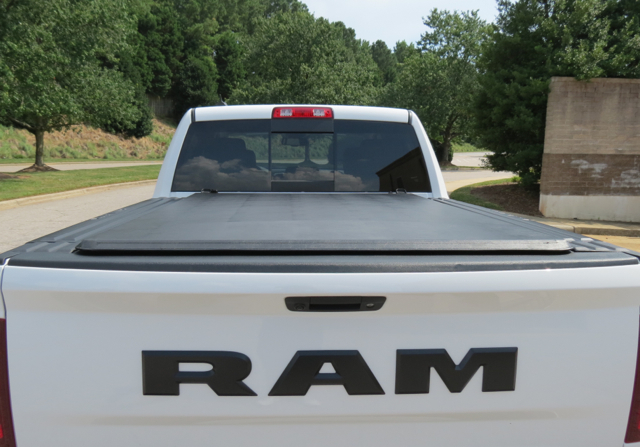 Black embellishments add pop to the Ram 1500. 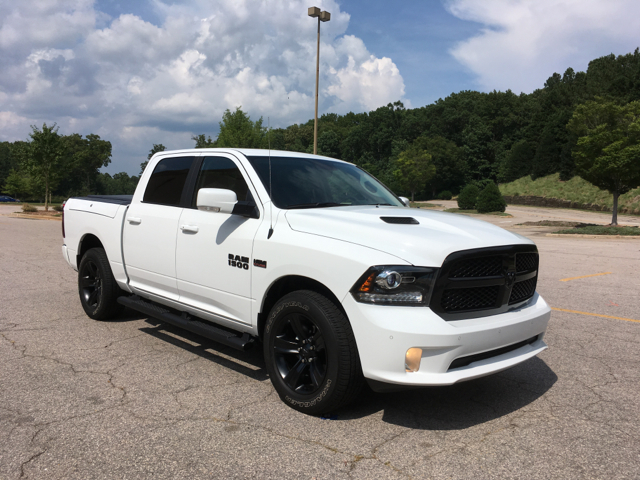 2017 Ram 1500 Night Edition Crew Cab 4×2. It was four years to the week when a second Ram 1500 entered my press fleet rotation. That’s a long time between drives, especially as multiple copies of competing models from Ford, Nissan, Chevrolet, Toyota, and GMC came and went. I cover pickup trucks probably as much as most other body styles, except for crossovers. The big number of crossovers found in press pools is understandable as we’re in the midst of a transition away from cars to utility vehicles. Manufacturers are simply responding to customer demand, although I absolutely long for the days of hot coupes and sport sedans gracing my driveway. Did I say I own a crossover?! The current-generation Ram 1500 started out as the Dodge Ram 1500 in 2009, transitioning to a “Ram” brand unto itself two years later. Nine years is a long time to stick with the same model, but that fact hasn’t hurt Fiat Chrysler. Indeed, June 2017 US auto sales had Ram outselling the Chevrolet Silverado, the perennial second-place full-size pickup truck to the Ford F-Series. There’s a chance Ram may overtake Chevrolet for the year and that would be amazing as the Silverado is five years newer than the Ram. In any event, the next-generation Ram 1500 isn’t expected before 2019. 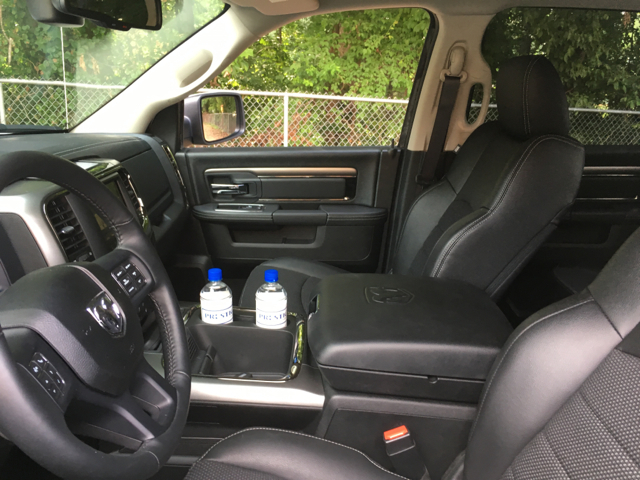 A 2017 Ram 1500 Crew Cab 4×2 Night Edition was my test model. This special version advances a commonly recurring theme amongst manufacturers — black embellishments on a white, black or other-colored body. 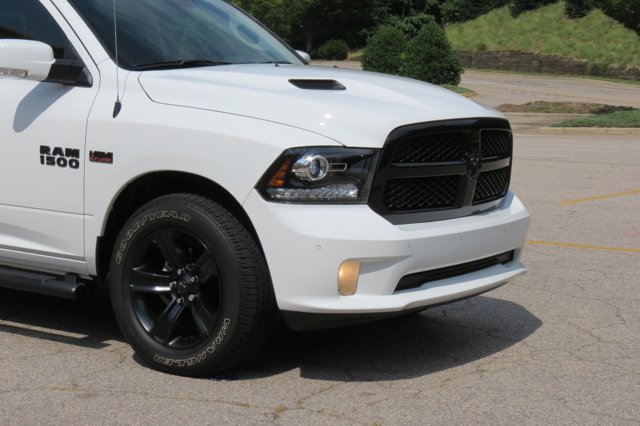 In this example, the 1500’s night package brings a black grille surround, black RAM tailgate stamping, 20-inch black aluminum wheels set within black sidewall all-season tires, and related badging. 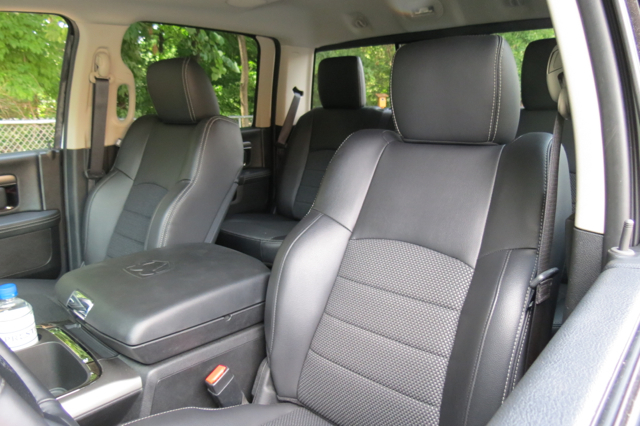 Inside, you’ll find high-back heated cloth bucket seats with 10-way power adjustment. 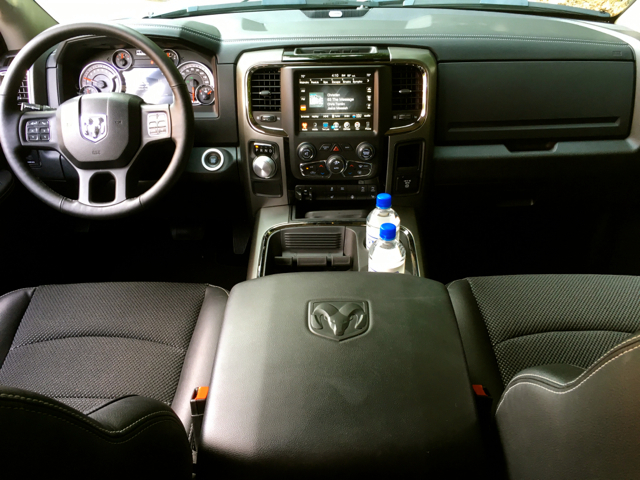 Rounding out the features are power-adjustable pedals and dual-zone automatic climate control. Five exterior color choices are available: bright silver metallic, bright white, brilliant black, flame red, and granite crystal metallic. 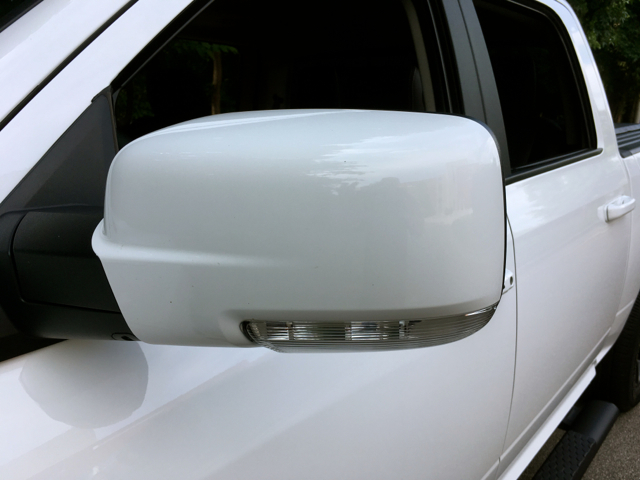 My test model was bright white, supplying this truck with an ideal contrast. 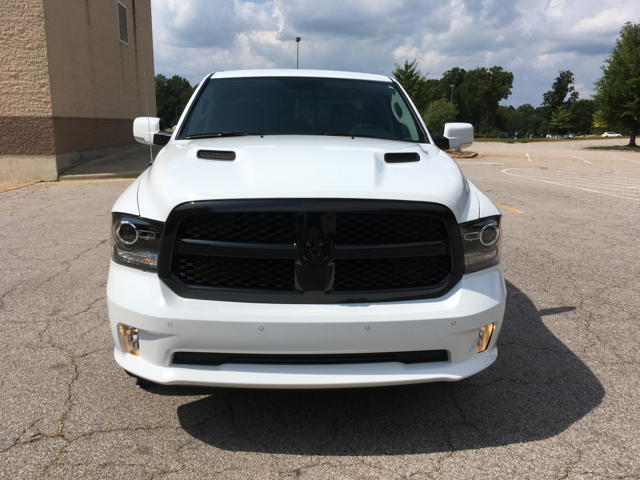 So, what sets this sport truck apart from the Ram 1500 pack? Everything mentioned earlier. 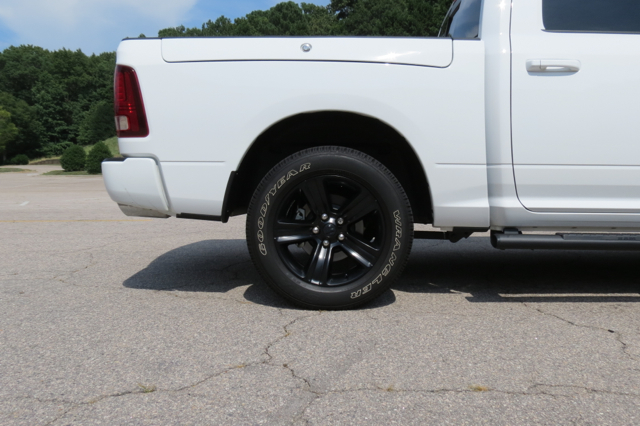 If the style seems familiar to you, it should as it first appeared on the 2013 Ram 1500 Black Express package. Other features include a body color fascia, body-color rear bumper, dual chrome exhaust tips, body-color power-folding mirrors and door handles. 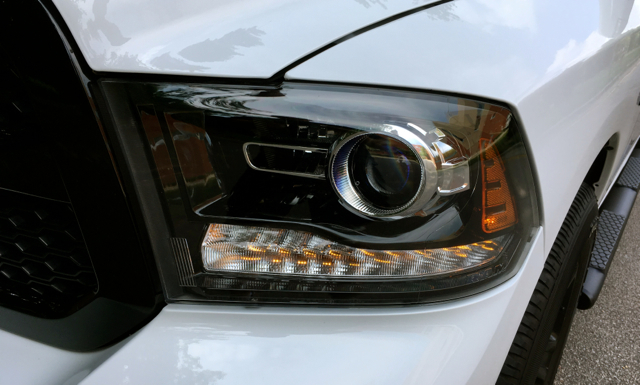 Take a close look the headlights too, as you’ll find black-bezel bi-functional projector headlamps with LED marker lights as well as black-bezel tail lamps. 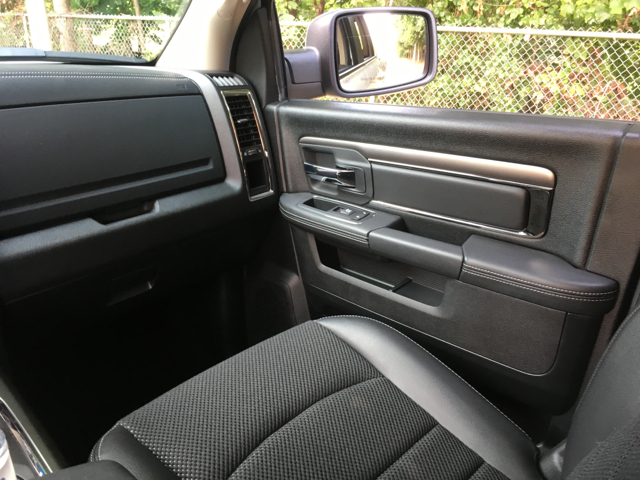 You can have the Night Edition in regular, extended or crew cab body styles and your choice of 2WD or 4WD as well as standard and extended bed lengths. 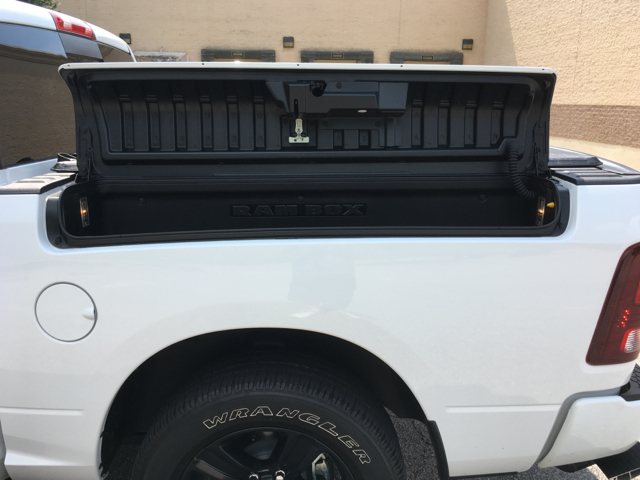 Optional features include a performance hood with scoops, black running boards, RamBox cargo management, and a dual-purpose bed extender/divider. My test model had each of those features. 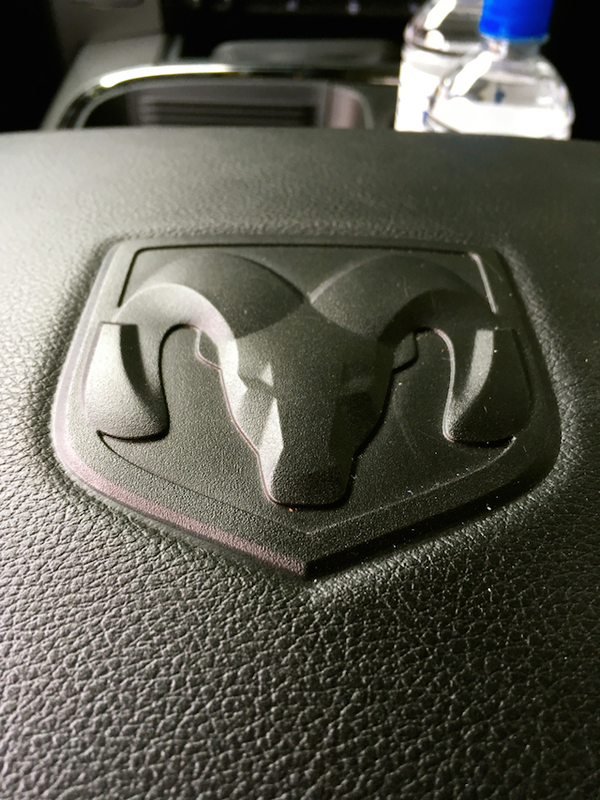 Both the National Highway Traffic Safety Administration (NHTSA) and the Insurance Institute for Highway Safety (IIHS) put the Ram 1500 through extensive safety testing. The NHTSA tested all three cab styles and both 2WD and 4WD versions. 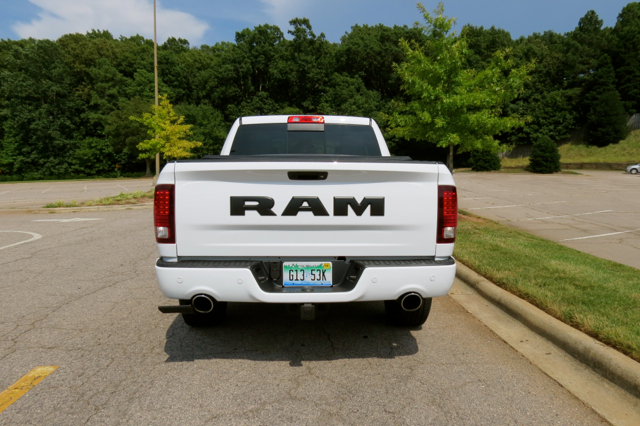 In each case, the Ram received four out of a possible five stars overall. In most cases, it achieved a 3-star rating for rollover, 4 stars for frontal crash and 5 stars for side crash. 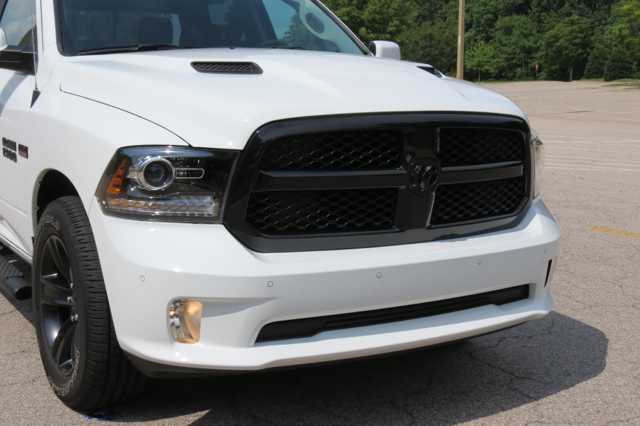 The IIHS was similarly tough on the 2017 Ram 1500 as it awarded the truck its top score of “good” in three categories — moderate overlap front, side, and head restraints & seats, but “marginal” in small overlap front and roof strength. This truck also got dinged for its headlights and child seat anchors. Standard safety equipment includes front and all-row, full-length air bags. You’ll also find a driver’s knee airbag. Available driver assist innovations include blind-spot monitoring, lane departure warning with lane keep assist, forward collision warning, emergency braking, and adaptive cruise control. 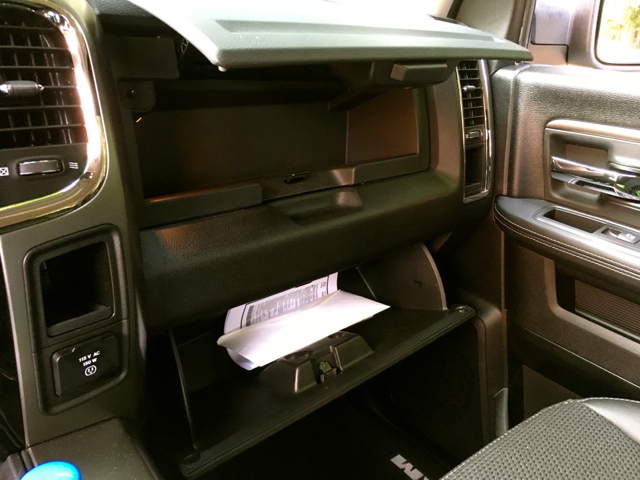 Top tech features include UConnect voice-command telematics, Bluetooth, WiFi hotspot, an auxiliary input jack, and USB ports. 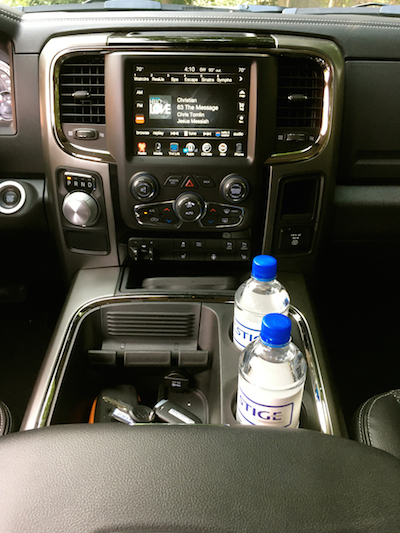 A six-speaker audio system with satellite radio is standard. 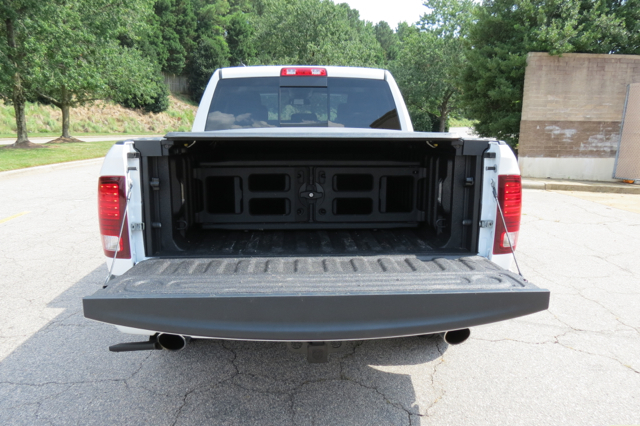 Also available are 7- or 10-speaker audio package, the latter with a subwoofer. Ram offers a pair of engine choices with the Night Edition. Happily, the standard V6 was not supplied with my test model. 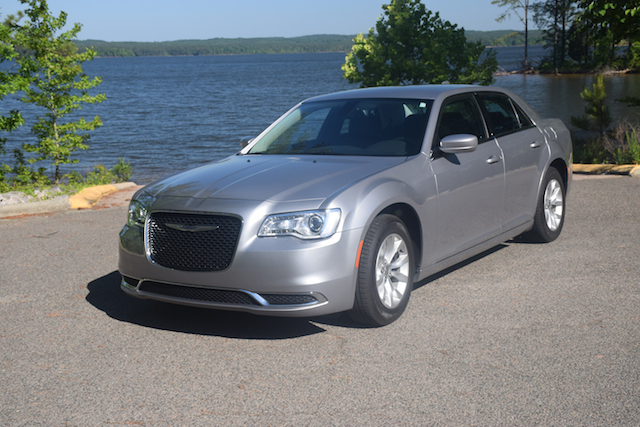 Instead, a 5.7-liter HEMI V8 making 395 horsepower and 410 pound-feet of torque provided a week of driving delight. That’s a much better deal than the 305-hp and 269 lb.-ft. of torque delivered by the 3.6-liter V6 — nothing against the junior engine, but if you want a raucous driving experience, it’s found in the HEMI alone. 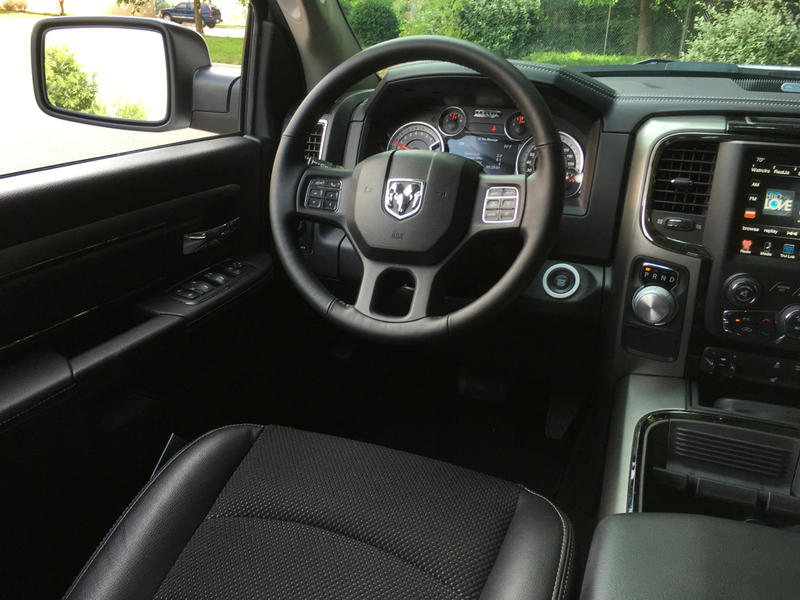 There is a third engine Ram 1500 available, but not with the Night Edition. That would be the Fiat Chrysler 3.0-liter turbo-diesel V6, what bangs out 240 horsepower and a robust 420 pound-feet of torque. 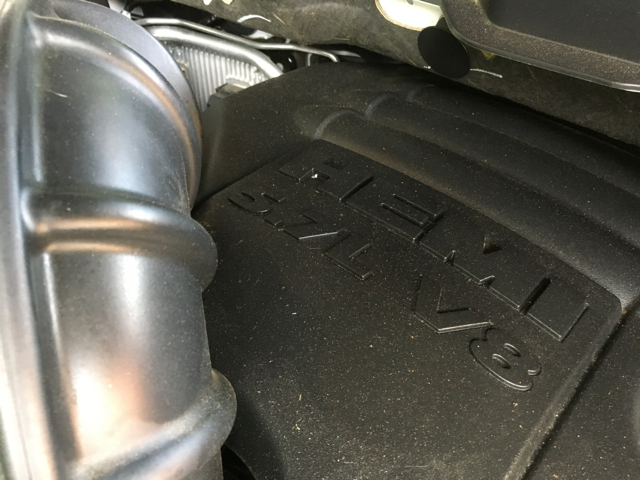 Incidentally, FCA yanked the diesel from the market for several months this year in response to a federal investigation that the engine violated emissions regulations. The automaker has since resumed production even as it still awaits the EPA’s blessing to start selling the truck again. 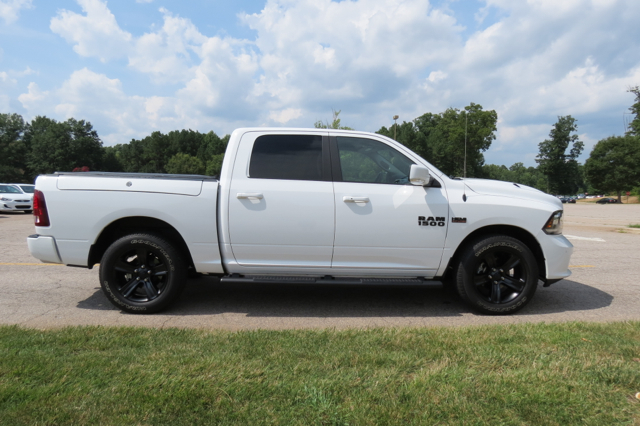 Across the board, all Ram 1500 engines come paired with an eight-speed automatic transmission. My test model added an anti-spin differential rear axle — that’s Ram terminology for a limited-slip rear differential. Here, if the drive wheel loses grip, the limited-slip differential transfers power to the other wheel to regain grip. You may notice this when cornering or if roads are wet. So, I spent sufficient time on twisty roads to gauge just how well the 1500 handled. Steering feels light to the touch and is not especially engaging. 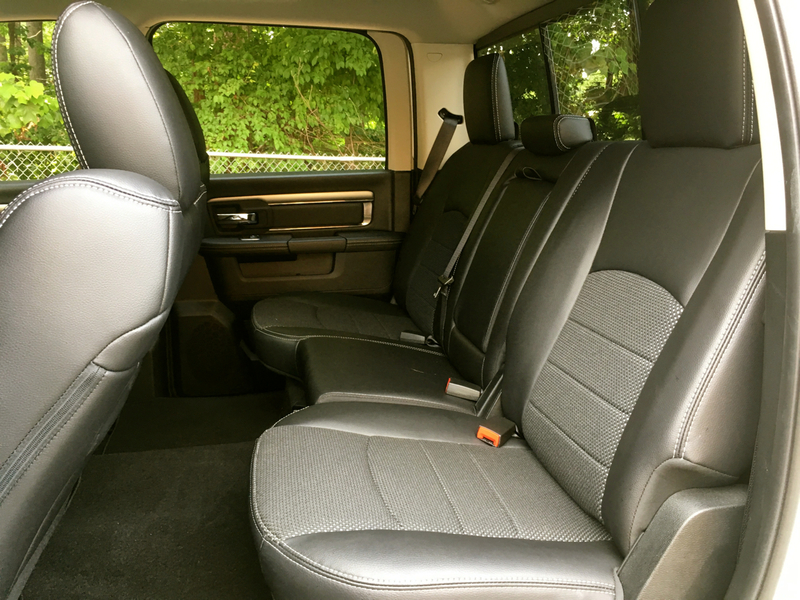 Handling is about what you’d expect — you’re still dealing with a large, crew cab model and that means you’ll experience some body roll. On the twistiest of roads, I found it difficult at times to keep the truck in my lane. Of course, had I been driving slower, that wouldn’t have been an issue. I’m sure the regular cab would have offered an ideal driving experience. As for the HEMI, it is everything enthusiasts want — huge, burly and powerful. The boisterous exhaust note is a wonderful complement to the engine, sending forth warnings to all that a HEMI is in the house. My test model came in just above $50,000 and that’s not an uncommon price for today’s full-size crew cab models. Its base price was about $10,000 less, the higher cost reflected largely by the engine upgrade ($1,250), RamBox management system ($1,295), and more than a dozen special features ranging from locking lug nuts ($60) to the sport performance hood ($775). Of course, cab and bed sizes make a difference in price too. That said, some of the most generous incentives are on crew cab pickup trucks, with discounts of $5,000 or more easily within reach. 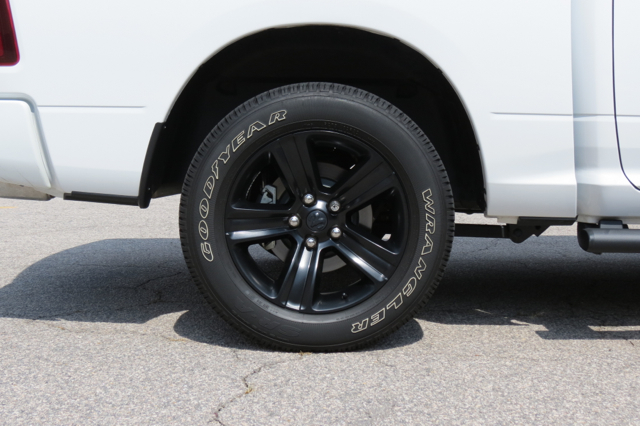 All in all, the Night Edition garnishes the Ram 1500 without overdoing. Its already a masculine truck — the black embellishments are akin to a man adding mutton chop sideburns or a goatee to his face.